Ugh! Last night Stella attacked this snake. Since I thought it was dead, I put it in the bushes so I had time to research if it was poisonous. 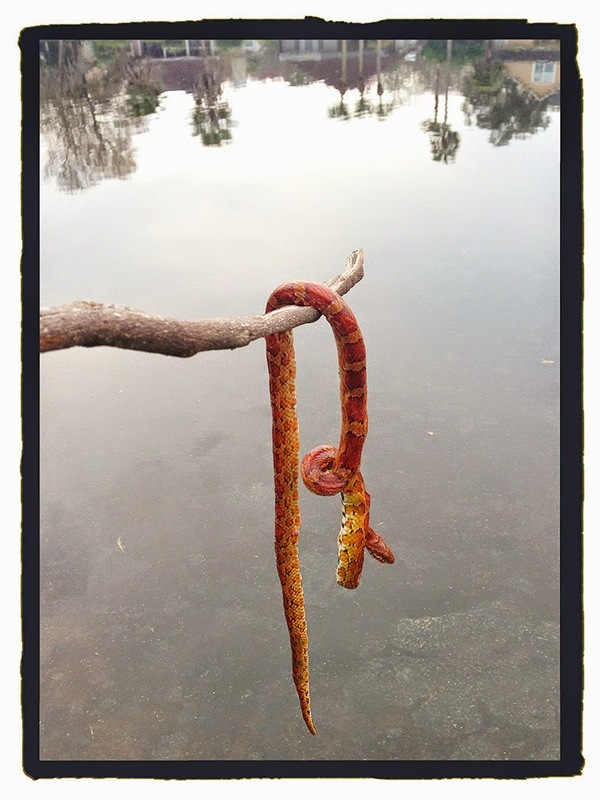 This morning I picked it up with a stick & put it in the lake. I freaked out when all of a sudden it started breathing. I picked it up again & flung it pretty far. Too much excitement before going to work. 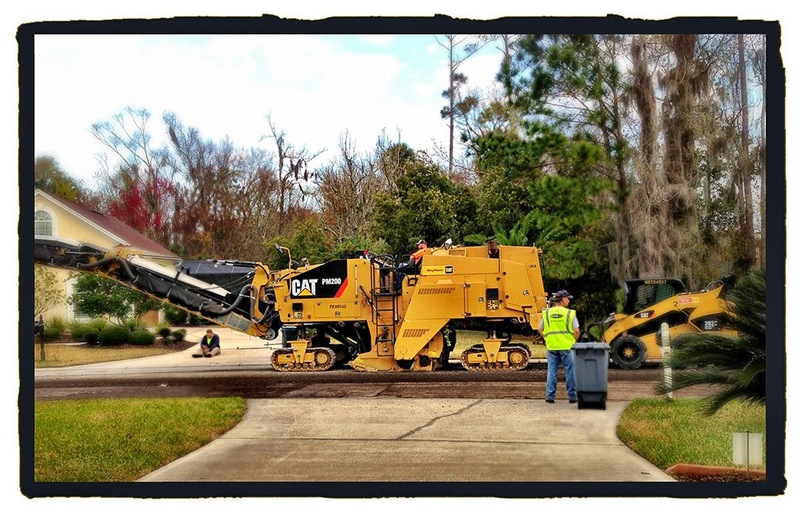 Paving started today in the hood. Gonna be messy!